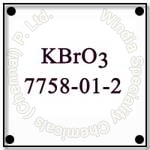 Windia Speciality Chemicals (Chennai) P. Ltd. offers a wide range of industrial chemicals in the international market. Our assorted range of products includes chemicals like Sodium Bromide, Potassium Bromate & Sodium Bromate. 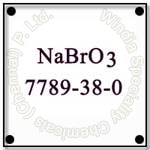 All these chemicals are manufactured as the specified international quality and norms. 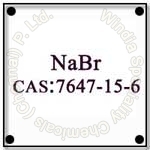 They are used in number of industrial applications in a variety of sectors. Our products are processed at our highly advanced unit using latest technology under the supervision of experts. Raw materials like Sodium Bromide Solution, Hydro-bromide Acid, Caustic Soda and Activated Carbon are sourced from reliable vendors. We offer them in different specifications and grades as per the demand of the clients. We take proper care for safe as well as timely delivery of these chemicals as they are volatile in nature with fire hazards. Besides, we offer our products at the most discounted rates as against the ordinary market.